The Beatles were about quality. Their albums of course but usually there wasn’t the usual throwaway track on the B side. 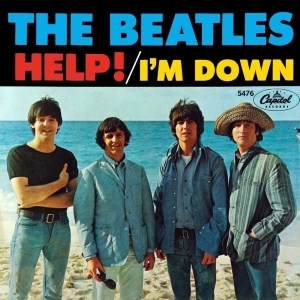 You would get two “A” sides most of the time… I’m Down is a great song on its own. It is amazing to me the songs that were released as singles – the A and B sides that were not put on the albums. The albums now the Past Masters I and II. Imagine if Strawberry Fields Forever and Penny Lane had been on Sgt. Pepper… Paperback Writer and Rain on Revolver. Rain is one of my favorite songs and it was a B side!! Oh, I love Rain also… the drums and bass are just great. Revolver is already untouchable but you make a good point… That is the time frame… what great additions…To me, Strawberry Fields/Penny Lane is the greatest single ever. I know why they did it but it makes me mad that Capital records would cut up their albums…or we should say… “butcher” them until Sgt Peppers. I agree- Strawberry Field/ Penny Lane the GOAT single of all-times!!!! Must have heard this great tune a million times or so – it just doesn’t get boring! It’s also quite remarkable how John’s serious cry for help came out so cheerful! I wonder if anyone at the time realized it? Probably not. I bet you that no. Based on the upbeat melody you wouldn’t realize. You really need to listen to the lyrics, which I suspect most folks don’t do. and in 1965 i think the world thought- what would he be screaming Help for- he’s a Beatle and on top of the world.